The sacred month of Ramadan, 9th month of the Islamic calendar is regarded as the most sacred of all the months of the Islamic calendar. It is during this month full with blessings that Allah ta’ala (The Almighty) revealed the holy Koran (Al-Quraan), his last message, considered as the best of all the sacred books, to his last and most supreme of all the prophets, Hazrat Muhammad (S.A.W) by the means of the head of all the angels, Hazrat Jibraïl (a.s) (archangel Gabriel). In regard and respect to these values, Allah ta’ala imposed the fast during this sacred month to us. Of course, the fast is compulsory for all those who are physically fit, i.e. having a state of health which allows it to them. In the month of Ramadaan it is very important that we spent a few moments to understand some of the wisdoms and lessons that we can learn from this month of fasting. Taqwaa in this case means to make a shield between oneself and Allaah’s anger and Hellfire. So we should ask ourselves, when we break our fasts, ‘Has this fasting day made us fear Allaah more? Has it resulted that we want to protect ourselves from the hellfire or not? This is achieved by reciting and reflecting on Al-Qur’aan during night and day, attending the taraaweeh prayers, remembering Allaah, sitting in circles of knowledge and, for those who can, making `umrah. Also for those who can, making I`tikaaf (seclusion) in the last ten nights of Ramadaan, so as to leave all worldly pursuits and seclude oneself in a masjid just thinking of Allaah, so as to bring oneself closer to Allaah (SWT). When one sins, one feels distant from Allaah. That is why one might find it heard to read the Qur’aan and come to the masjid. However, the obedient worshipper feels closer to Allaah and wants to worship Allaah more, because he is not shy from his sins. Allaah has mentioned patience more than seventy times in the Qur’aan and has commanded patience in more than sixteen ways in His Book. So when one fasts, and gives up one’s food and drink, and one’s marital sexual relations for those hours, one learns restraint and patience. This Ummah needs man and women that are strong willed, who can stand upon the Sunnah and the Book of Allah and not waver. We do not need emotional people, who just raise slogans and shout, but when the time comes to stand upon something firm, they cannot do so, they waver. The Prophet (may Allaah send His blessing and peace upon him) said, “Whoever does not abandon falsehood in word and action, then Allaah (SWT) has no need that he should heave his food and drink.” (al-Bukhaaree) What we learn from this, is that we must pay attention to the purification of our manners. The Prophet (may Allaah send His blessing and peace upon him) said, “was sent to perfect good manners.” (Maalik) So we must check ourselves, are we following the behaviour of the Prophet (may Allaah send His blessing and peace upon him)? For example: Do we give salaam to those we don’t know and those we do know? Do we follow the manners of Islaam, by telling the truth and only telling the truth? Are we sincere? Are we merciful to the creation? Thanks to Sana Khan for this article! Laailaaha Illallaahul Hayyul Qayyumul Qaaimu Alaa Kulli Nafsin Bimaakasabat. Translation: Allah – there is no God except Him; He is Alive (eternally, on His own) and the Upholder (keeps others established); so is He who keeps a watch over the deeds of every soul. 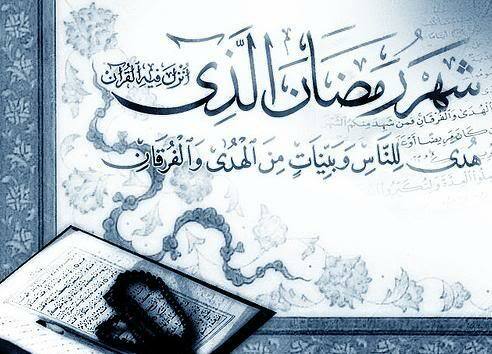 As Allah ta’ala did precise us, it is during the sacred month of Ramadwaan that the holy Koran was revealed. The companions of the holy Prophet ( peace be upon him ) witnessed that i twas during this great blessed month that the holy Prophet ( peace be upon him ) was reading the holy Koran more. Hazrat Ibné Mas’oud (r.a) repports that the holy Prophet ( peace be upon him ) said: « For each alphabet of the holy Koran that someone read, he receive one (1) “neki” and one “neki” is equal to 10 “thawaabs”, I don’t say that alif-laam-meem is an alphabet, but that alif is an alphabet, laam is an alphabet and meem is an alphabet » (ref. Tirmizi & Mishkaat). During the Ramadwaan, this neki is doubled. According to a hadith, the one who accomplish a sunnat or nafil during Ramadwaan, it is considered as if he accomplished a faraz namaz of other months and when he accomplish a faraz namaz during Ramadwaan, it is as if he made 70 (seventy) faraz namaz of other months. The heart of the believer get tranquility (sukoun) with the lecture and listening of the holy Koran. It is a book that, the more we read it, the more we want to read and listen to more. Contrary to the other worldly (dunya) books that when you have read it once, you don’t want to read it once more. Whereas the holy Koran, the sacred words of Allah, even if you read it several times, you will never get bored. It happens unfortunately that we don’t have sufficient time in our daily life to spend in tilaawat-ul-Quraan and see how Allah ta’ala send his “fazlo-karam” (supreme favour) upon his servants, on the people (ummah) of the holy Prophet ( peace be upon him ) during this great blessed month since we have the great occasion to benefit from tilaawat (lecture) of Qur’aan shareef during the namaz of Tarâwîh. It is said that the one who listen to the lecture of the Qur’aan earn the same thawaabs as the one who read. Hazrat Abu Huraÿrah (r.a) repports that the holy Prophet ( peace be upon him ) said: « The one who accomplish the namaz of Taraweeh with sincerity and faith, will receive the forgiveness of his passed sins » (ref. Muslim & Mishkaat). The namaz we accomplish during the Ramadwaan after the namaz Ishaa is called the Taraaweeh. In the mosques, is done in congregation (jama’at). The arabic word “taraaweeh” is the plural of the word “tarweeha” which means “rest”. Because sahâba-e-kiraams (companions of the holy Prophet ( peace be upon him ) and the taabi’eens (generation who came after the sahabas) used to take a little rest (a little pause) after each 4 raka’ats while performing the Taraweeh. Some think that Taraweeh consist of 8 raka’ats, but it’s not the case for the following reasons: if we accomplish only 8 raka’ats, there will be only one (1) rest (pause) or a maximum of two, in this case in Arabic language, we would call this “tarweehatan” in spite of taraweeh. Whereas in the case of 20 raka’ats, we obtain more rests (pauses) and thus it can be called “taraweeh”. The sahaaba-e-kiraams (r.a) all agreed that the Taraweeh much consist of 20 raka’ats. 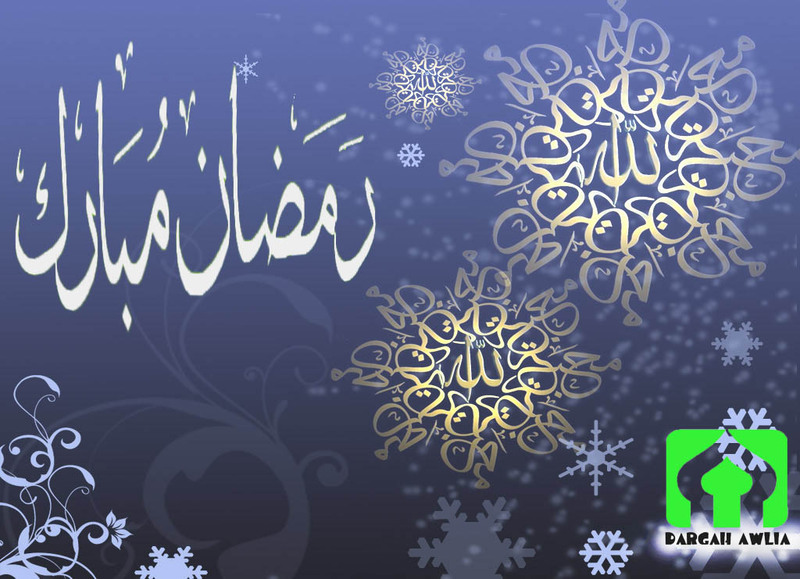 According to a hadith rapported by Hazrat Abdullah Ibne ‘Abbass (r.a), Nabi-e-kareem used to accomplish 20 raka’ats during the month of Ramadwaan. (ref. Tibrani & Baihiqi). It is thus a Sunnat-e-Mu’aqada. At the time of Hazrat ‘Umar Faarooq (r.a), the 2nd caliph of Islam, one used to accomplish the namaz of Taraweeh in 20 raka’ats in congregation (jama’at) and this principle was brought to the time of the 3rd et 4th caliphs, Hazrat ‘Uthmaan-e-Ghani (r.a) et Hazrat ‘Ali (r.a). · The namaz Taraweeh is sunnat mu’aqada for men and women (according to the Hanafi rite). They must not neglect it. · Men must accomplish it in congregation (jama’at) at the mosque and ladies without jama’at (isolated) at home. · The Taraweeh consist of 20 raka’ats in 10 salaams (2 by 2 raka’ats). After each 4 raka’ats it is mustahab (recommanded) to ake a short pause which can last as long as the time spent to accomplish these 4 raka’ats. · The time of Taraweeh begins after namaz Ishaa, and last till subha-saadiq (dawn), but it is better to do it before midnight (which means before Tahajjud). · The one who has not accomplished the namaz faraz of Ishaa, has not the right to do neither the Taraweeh nor the Witr as long as he has not done the faraz of Ishaa. · During the Ramadwaan, it is preferable to do the Witr in jama’at, after having done the Ishaa in jama’at. · The one who do the namaz Ishaa alone (without jama’at), will have to do the Witr alone (without jama’at). · The one who missed part of the Taraweeh and that the Imaam already stood to do the Witr, will be able to do the Witr in jama’at provided to have done the faraz-Ishaa in jama’at. He will then have to replace the number of raka’ats of Taraweeh he missed. He can also do the Witr alone after having replaced his Taraweeh. · It is makruh (disadvised) to do the Taraweeh in the sitting position without a valid reason (according to the shari’ah). · The muqtadees (those who accomplish the namaz behind the Imam) have not the right to sit and wait for the Imaam to go to the ruku to get in the namaz. This action is condemnable and is compared to the hypocrites (munaafiqeens). Allah says in the holy Koran that the hypocrites stand in namaz with idleness. [Sourah 4-Verse 142]. · To do a Khatam-ul-Qur’aan (complete recitation of the holy Koran) once during the Ramadwaan is sunnat-mu’aqada. To do it 2 times is better and 3 times is best. · It is permitted to read the small sourahs (sourates) in Taraweeh when we cannot do a complete khatam of the holy Koran. · Alike in namaz (faraz, sunnat, etc…) there are faraïzs (obligatory conditions of namaz) and waajibaats (necessary conditions of namaz), the same conditions exist in Taraweeh. Le Taraweeh will not be valid (that is, won’t be accepted by Allah) if the conditions are not respected. For exemple, when people hurry and don’t do the ruku and the sajdah correctly. · Shabina : When we do shabina in the Taraweeh (a complete khatam-ul-Qur’aan during a single night of Taraweeh), we must do it strictly and respectfully, which means it is not permitted that people spend their time out of the namaz and come back to get in when the Imaam will go to the ruku. This way of doing is haraam (prohibited).